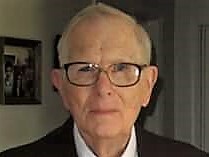 Alton Milligan -- Alton Milligan, 90, of Laurel passed away on Jan. 19. Alton’s passing was preceded by his wife, Peggy, brothers Emerson Milligan, Robert Bove, as well as daughters Pam and Bonnie. He was also preceded by his grandson, Jimmy Huffman. He leaves behind his sister, Annabelle Truitt of Seaford; sons Steve (Debbie), David (Gloria), Brice (Barbara), and Kevin (Angie) and daughters Sharon and Aileen (James). Alton loved his 12 grandchildren, 10 great grandchildren, and many nieces and nephews. Alton was a proud employee of DuPont and retired after 45 years of service. He was known for his many cost saving suggestions, work ethic, and kind, dependable nature. He was involved with various service organizations over the years and was a veteran reaching the rank of Sargent First Class. He was a gentle, giving man who loved God and would speak to others about believing in God and the many blessings God gives us. Services will be on Monday Jan. 28 at 2 p.m. at Cranston’s Funeral Home in Seaford where friends may visit from 1-2 p.m.